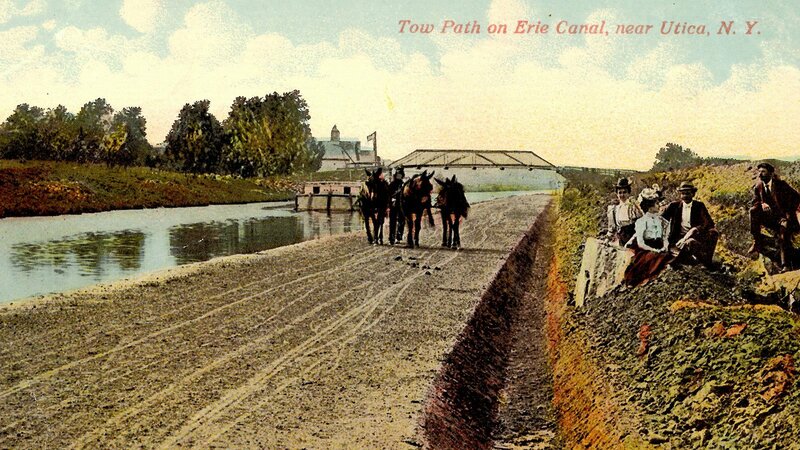 Built with little more than horses and sheer manpower, the Erie Canal fulfilled the long-time dream of a waterway that could link the Atlantic Ocean with the fertile farmland of America’s interior. In 1806, merchant Jesse Hawley’s inability to secure quick, economical transportation for his flour cost him not only money but his freedom. He was sentenced to 20 months in debtors’ prison after one of his shipments of flour went bad. From inside the prison walls, he wrote a series of essays in which he laid out his case for the construction of a great canal across the state of New York, from Albany on the Hudson River to Buffallo, on Lake Erie. By linking the East Coast with America’s fertile interior, the canal could both solve his problems and secure the country’s economic future. 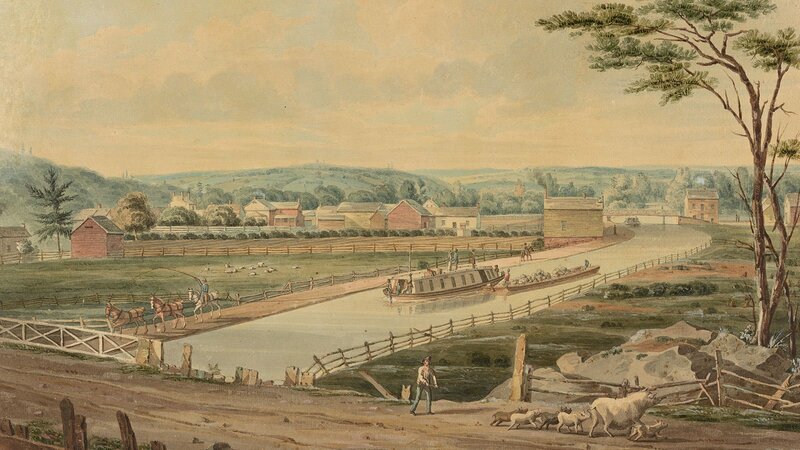 In a series of essays published in 1807 and 1808 under the pseudonym “Hercules,” Hawley called the canal’s potential benefits “the most immediate, and consequently the most extensive” of any public works project that the United States could undertake at that time. Not everyone, however, was convinced. 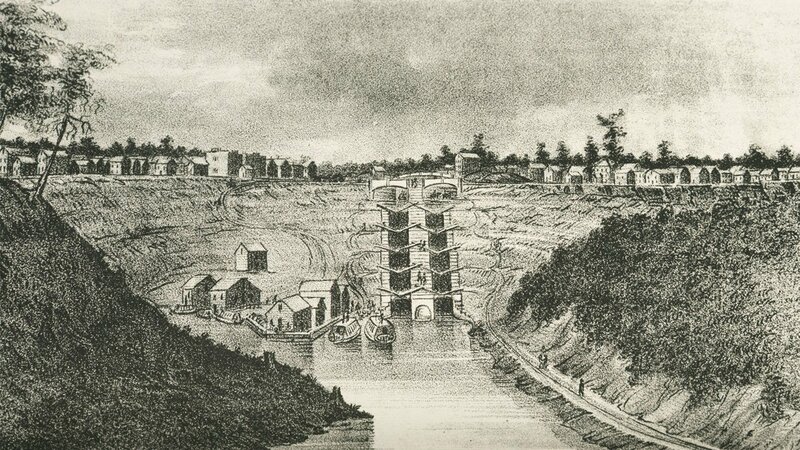 In 1809, Thomas Jefferson called the proposal “a little short of madness.” The young United States of America didn’t have an engineering school or any professionally trained engineers with experience with such a massive project, and the size and scope of the project, which would need to run through miles of Appalachian Mountains, seemed insurmountable. But in addition to the technical challenges, there were vehement disagreements over whether the US Constitution allowed the federal government to pay for any public works project – particularly one that would benefit only a portion of the country. 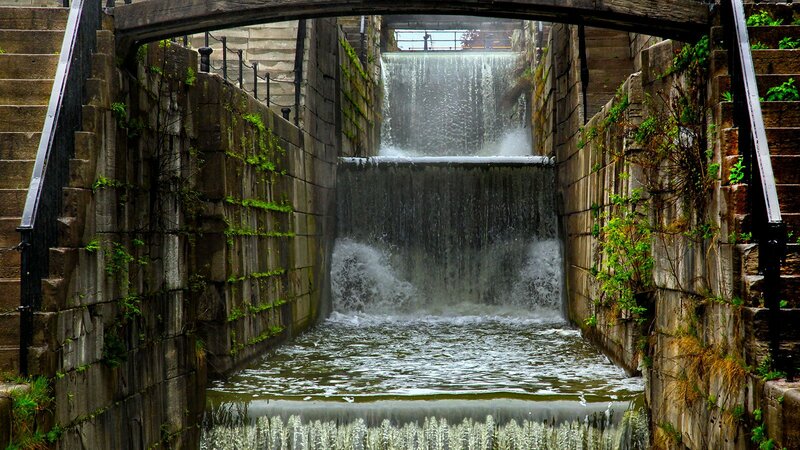 If a canal was going to be built, it would fall upon the State of New York to finance and oversee the project. As luck would have it, Hawley’s essays found just the right audience. 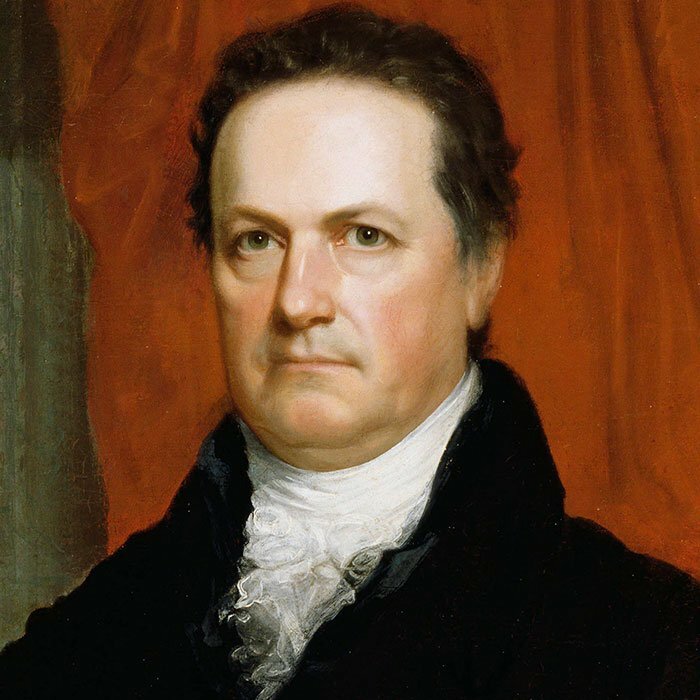 New York City Mayor DeWitt Clinton was perpetually on the lookout for bold, ambitious ideas that might help his city secure its place as the economic powerhouse of the United States. 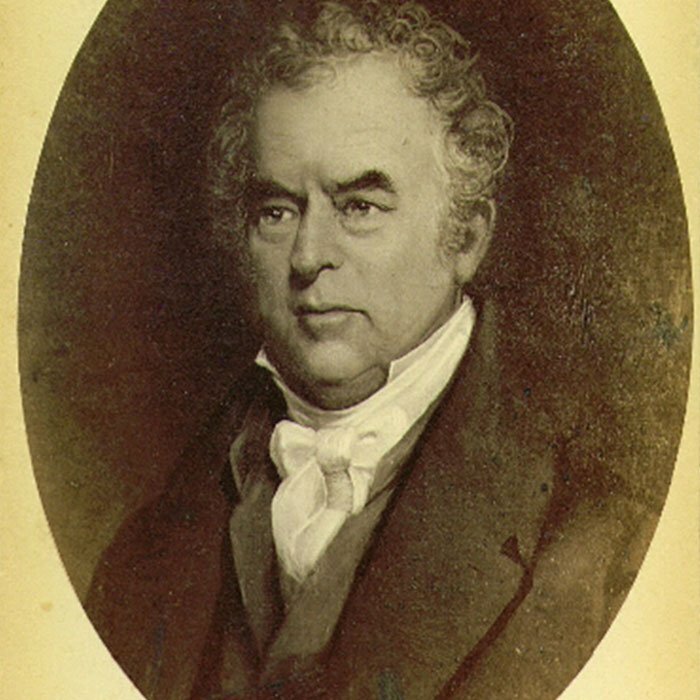 In 1817, after Clinton spent years studying and promoting the idea and enduring public ridicule over what some called “Clinton’s folly,” he finally convinced the New York State Legislature to commit seven million dollars to build a 363-mile, 40-foot-wide ditch from Albany to Buffalo, New York. Then it was time to get to work. Much of the hard labor fell to thousands of New York farmers armed with shovels, hand tools, and of course, their beasts of burden – in this case, horses and oxen. Since a steam-powered device for land excavation wouldn’t come around for another two decades, they also adopted or created several machines to help with the job. They used primitive bulldozers known as “slip-scrapers,” made of a giant blade fixed to wrought iron plows and pulled by horses or oxen. Workers also built devices called “tree-fellers,” which allowed a single man to topple a tree. First, he would climb the tree and attach one end of a long chain or cable. When back on the ground, he’d wind the other end onto a cranking device with a wheel that would pull the tree down with a chain or cord, tearing the tree roots out of the earth. 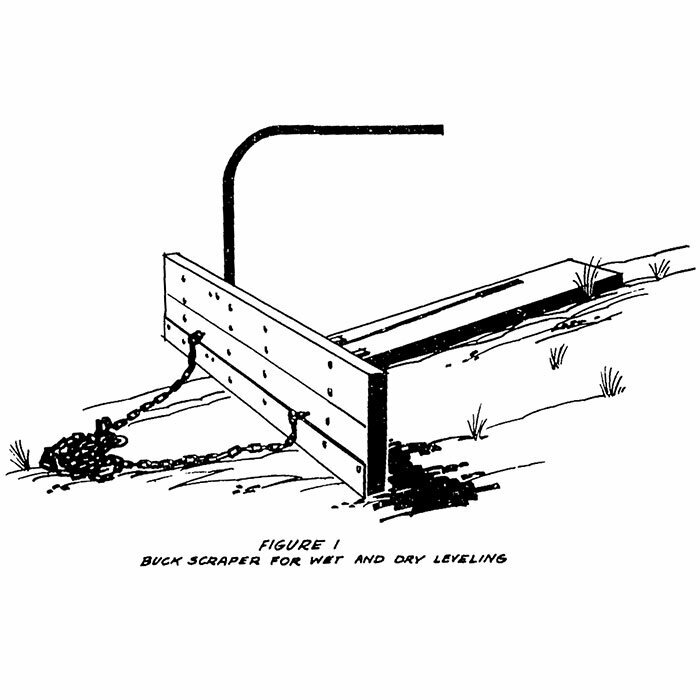 For trees that were cut down the old-fashioned way, ox-powered “stump pullers” were built to help lift the stumps out of the ground. 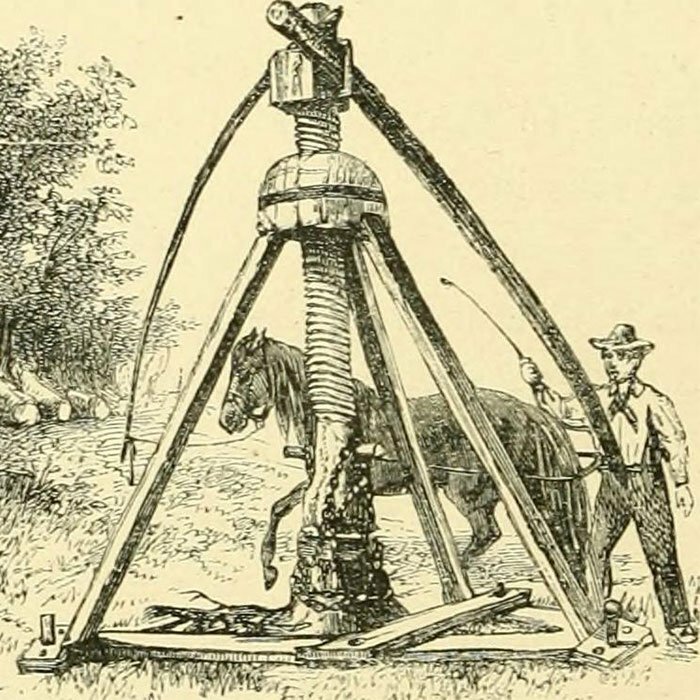 A chain was wrapped around the stump and then attached to a series of wheels and a spool nearly 14 feet across and 16 feet high, its cables pulled by a team of oxen. And when workers hit stone, they had to start blasting. Dynamite hadn’t been invented yet, so they used black powder, which is less powerful, but still potentially lethal. “It was a pretty dangerous job… set the powder, and then light everything and run,” said Maready. 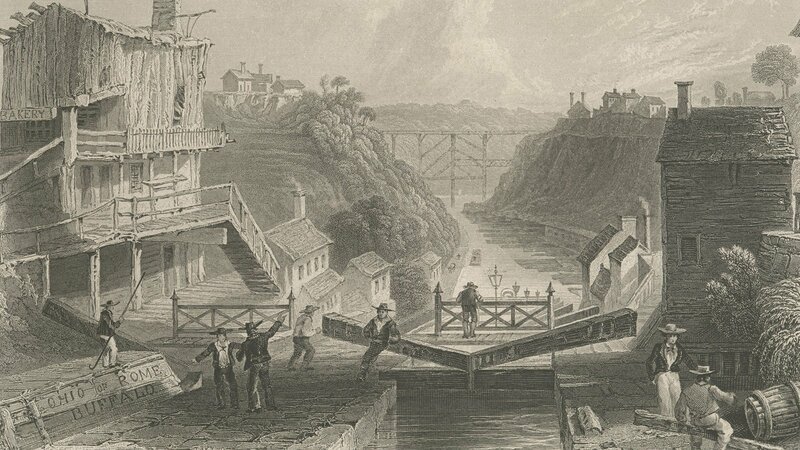 But the real engineering marvel of the Erie Canal was built to overcome another hurdle: a 565-foot elevation change between the Hudson River and Lake Erie. 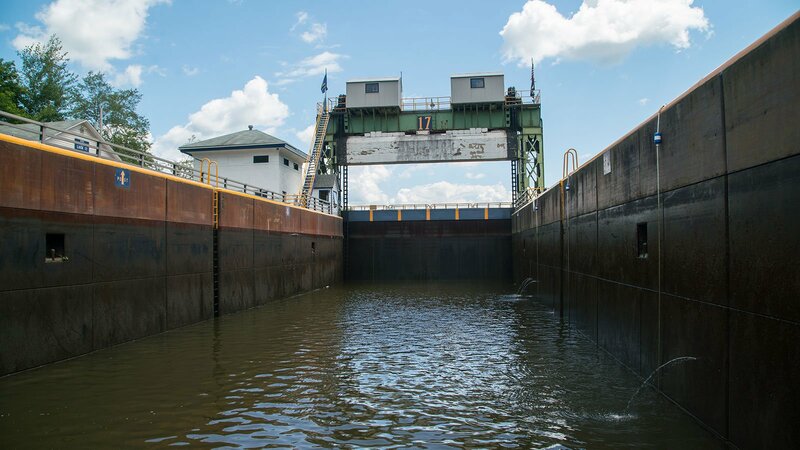 Crews built a system of 83 locks, which are akin to elevators for boats, to help control the water’s flow. The boat enters a chamber, which is either filled or drained, lifting or lowering the vessel before the gate on the other side opens and releases it. 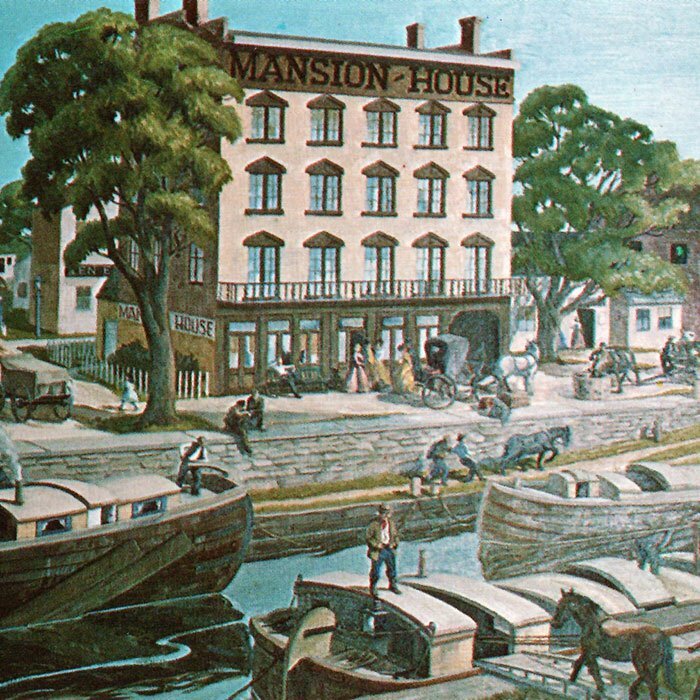 Tour boat operator Jerry Gertz explains the crucial and often forgotten role played by the mules that pulled barges and boats along the Erie Canal in its early days. In fulfillment of Hawley’s prediction, canal traffic was heavy from the get-go. Settlers moved west to start new lives farming the frontier. They sent barges full of wheat and lumber back east and purchased machinery that had been shipped out west from the coast. The reduced shipping costs supported a period of exponential growth in the US economy and the development of several related industries in manufacturing and food processing. Towns sprouted along the canal, many of them developing their own niche. Syracuse, for example, became known as the “Salt City,” while Rochester developed several businesses for flour milling. 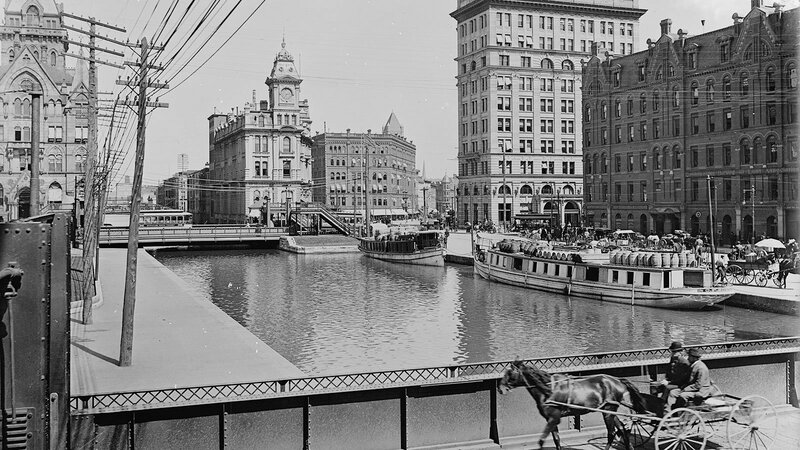 Along with commerce, people and ideas traveled along the canal. 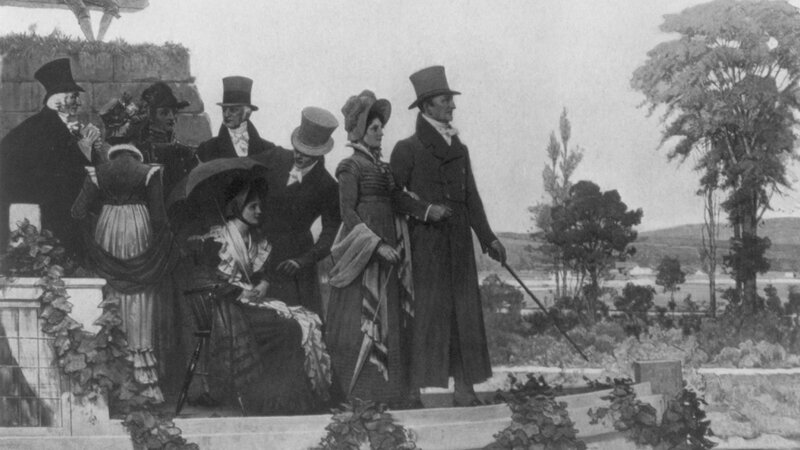 Several of the nineteenth century’s most influential social reform movements – including abolitionism and women’s rights – flourished in towns along the canal’s waterways. 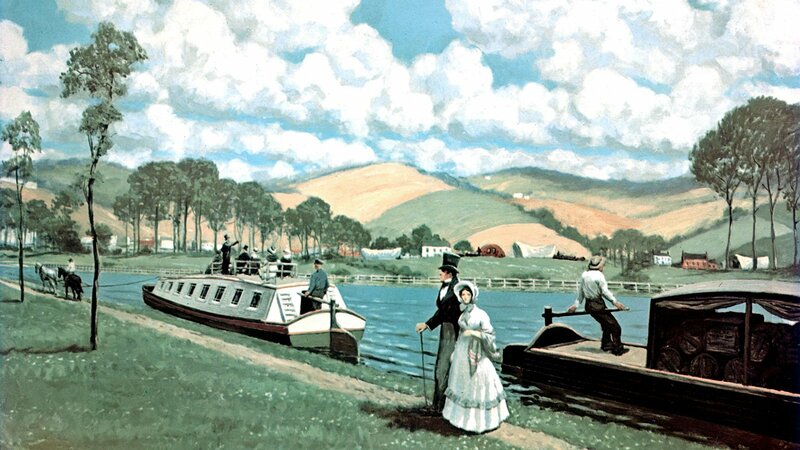 The Erie Canal was a project that helped the young United States of America prove its ability to think big and to accomplish great things. In doing so, it laid the foundation not only for historic economic growth, but for the many ambitious public works projects that would soon follow.